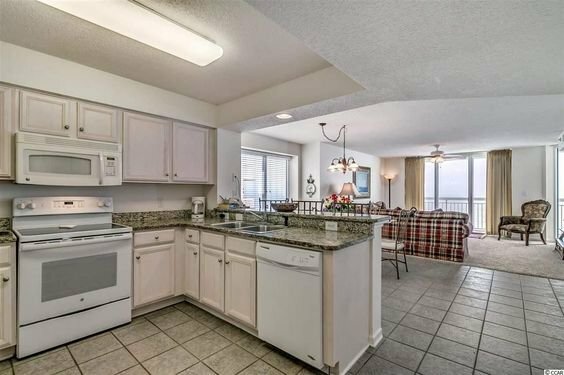 Comfortably located along the northern Grand Stand at 17th Avenue and Ocean Boulevard in the Crescent Beach section of North Myrtle Beach, Crescent Shores is a brand new condominium high-rise which boasts the finest in luxury amenities and accommodations.. 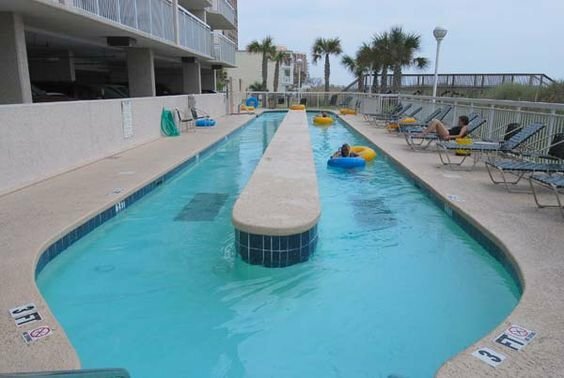 Since it opened its doors in 2004, Crescent Shores has become a popular vacation rental spot in North Myrtle Beach, and for good reason. 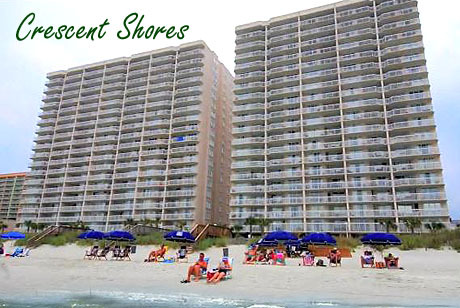 Read more about Crescent Shores real estate. A spectacular, oceanfront location is just the beginning of what this resort has to offer. If you can tear yourself away from the pleasures of the beach, a 200-foot lazy river, a 110-foot, oceanfront pool, a kiddie pool, two hot tubs, an indoor pool and a state-of-the-art fitness center are all at your disposal as a guest or resident of the Crescent Shores. Other condominium amenities include covered parking, elevators, outdoor showers and open floor plans. 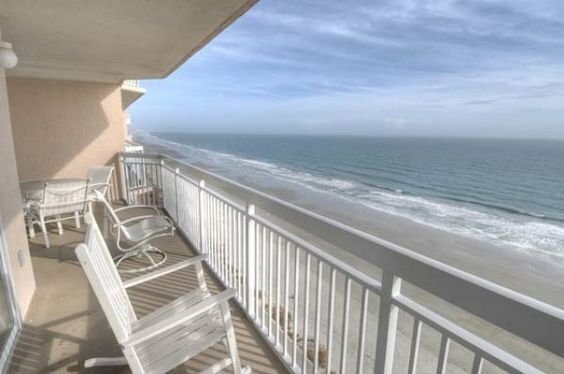 And of course, once outside on your private balcony are some of the most breath-taking views of the Atlantic Ocean and the Grand Strand. Crescent Shores not only boasts outstanding amenities within the resort, but it is also conveniently located near plenty of dining, entertainment and shopping destinations.